New Reports Show Snap Still Leads in Teen Usage - But Will That Boost the App's Business Potential? HomeTipsNew Reports Show Snap Still Leads in Teen Usage - But Will That Boost the App's Business Potential? It’s hard to know exactly where Snapchat is placed at the moment. The formerly ephemeral content app quickly amassed a huge audience among younger social users, prompting Facebook to first seek to acquire it, then replicate its core features. Meanwhile, Snap itself went public, and since then its growth has stalled, with the expansion of Instagram Storiesseen as a big factor in the declining momentum of the app. But is that momentum declining as much as it seems? In their latest earnings report, Snap reported a decline of 3 million daily active users to 188 million. But two new reports suggest that, despite the decline, Snap is actually still growing among younger users, and is projected to do so for some time yet. But then again, Facebook, through Instagram, still wins out, right? Of course, these are only predictions, but the forecasts are based on existing trends. Essentially, Snapchat has the lead, and likely the capacity to maintain it – so while Facebook, including Instagram, remains the social media leader by far, Snapchat still has a hold on teens, which could bode well for the app’s future growth, especially if it can advance its platform with the evolving needs of those younger users. In a separate update, eMarketer has also predicted that Snapchat's user base will overtake Facebook's among 18 to 24 year-olds in the UK before 2018 is out. While the broader narrative around Snapchat has not been overly positive, particularly given the app’s slowing growth, the numbers suggest that there’s still a lot of potential there. But then, of course, teens likely aren’t as lucrative an ad market as older age groups. There is a question mark over whether the app’s hold on teens is valuable enough to justify further investment. Teens are influential in shopping decisions, particularly in terms of guiding what their parents buy in certain categories, but they may not have the buying power in themselves to significantly further Snap’s market performance. That could pose a marketing problem for Snap – while, as shown in the above chart, teens exert influence on a range of elements, actually getting teens to engage in ad content related to those areas can be difficult. Going on these stats, for example, it would make sense for furniture retailers to advertise on Snapchat. But creating an engaging Snap ad for chairs could prove difficult, and also, because the path to purchase would not be direct (the parents making the purchase, not the person who saw the initial ad), it would also likely be difficult to prove definitive ROI. Snap is working to improve this. 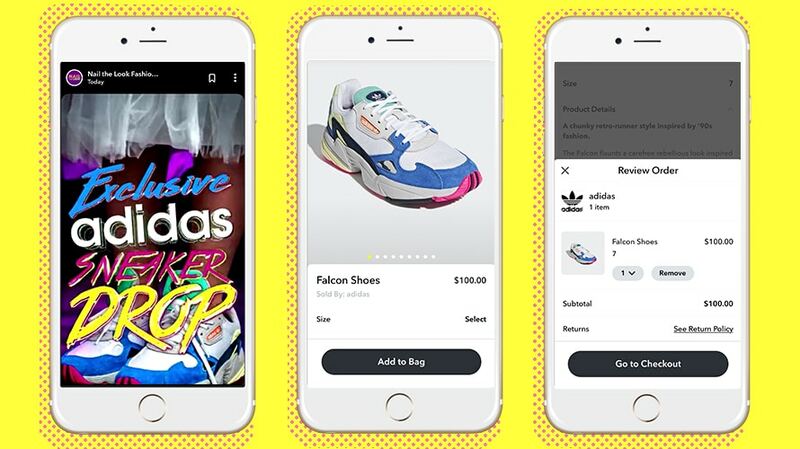 They introduced ‘Location Categories’ ad targeting back in March, which enables Snap advertisers to hone in on certain location, while they also now offer ‘Foot Traffic Insights’ to highlight Snap users who have visited your store. 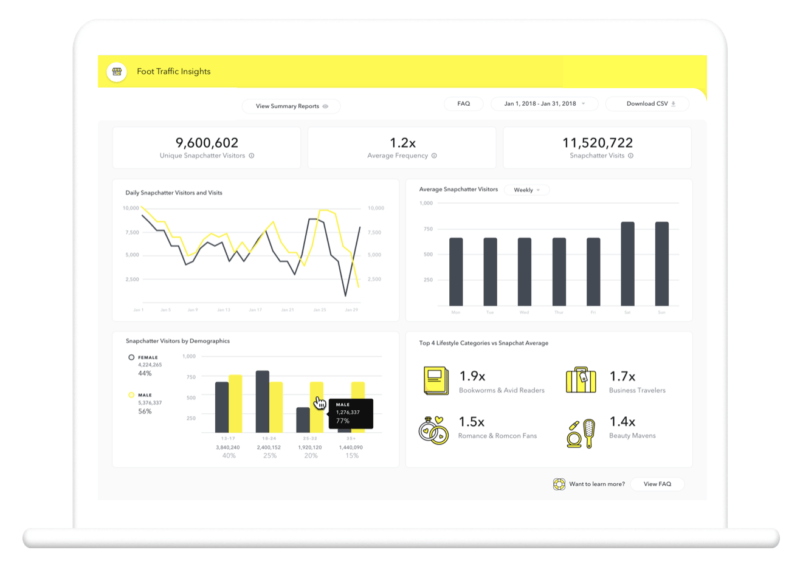 Those help to provide more context and insight into who you should be targeting with your Snap ads, and how to reach them while they shop - but because of the indirect nature of Snap’s influence, they likely need more measures to underline exactly how Snap ads lead to purchases. But the real value for Snap likely lies in evolution – growing their app in line with their audience, in order to keep them on Snapchat as they get older, and move into those more lucrative ad brackets. The data shows that Snap still has a hold on younger users, that teens are building their social graph on Snapchat, despite the expansion of other tools. If Snap can provide effective solutions for different content types in order to keep those users around, that could help them build on such momentum, and grow the app’s potential. As noted, it’s hard to know where, exactly, Snapchat stands, given the competing narratives, but the data shows that you shouldn't be giving up on it just yet.